"How did you decide what law school to go to? How did you make this big decision?" I get asked this question a lot. I really didn't know where I wanted to go when I started applying. I had some schools that I was interested, but I wasn't dead set on any of them. I applied to around 13 schools. I got into all of them, which I did not think would happen, and I actually hoped I wouldn't get into all of them so the final decision would be easier. Anyway, I had a tough choice to make. 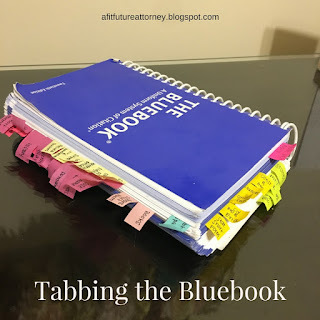 There are a lot of factors to take into consideration when deciding which law school to go to: cost/scholarships, ranking, reputation, location, practice area specialities, etc. It can be hard to make this decision, especially if you don't visit law schools. I highly recommend visiting law schools if possible before you decide. When I applied to law school, I thought that I wanted to practice family law or sports law. Therefore, for each school I was accepted to, I made a list of their opportunities for these two areas. This was something that I kept in the back of my mind while making my decision. Many law students change their mind as to what type of law they want to practice, so this is good to keep in mind. But some don't, especially patent lawyers. Unless you are 100% sure you want to practice in an area, it may not be the best call to attend a school for one area. However, I know a good amount of people who know exactly what they want to practice, and go to their specific school for that area and it worked out for them. It is just a matter of you knowing yourself. By March of my application cycle, I had it narrowed down to about 5 schools. Of those, I visited three. Each school has its own atmosphere and attitude. It is very beneficial to get the feel of the school you may attend, which is why I highly recommend visiting schools. However, I enjoyed each school I visited and did not rule out any because of my visit. I did love one more than the others, which was ultimately the school I ended up attending. Everyone I met was so nice, seemed to love the school, and went out of their way to make sure I had a good visit. I truly felt at home when I visited. This school had a very good reputation, very smart and talented professors, and many opportunities- both in family law and other areas. All of the people I met were amazing. I also had a good scholarship offer, making this school a solid financial decision as well. Pretty much, there was nothing I could complain about with this school. And it was relatively close to family, but still farther than where I went to undergrad. While the other schools I was accepted to and visited were great schools, they just didn't stand out to me like this one did. This one was it and knew it. Some people know exactly where they want to go to law school and will go there no matter what. Some people only apply to one school. Others have family or loved ones in a certain area, and they don't want to leave. Some students have no idea where they want to go to law school, and they don't have a school like I did that really stuck out and felt like home. No matter which boat you are in, this is a huge decision and it may seem like there is pressure to get it right. Listen to yourself, and hopefully, you will attend the right school for you. If not, it is not the end of the world: you can transfer after your first year. Also, you don't have to study in the state that you want to practice in anymore, so that provides a little more flexibility as well. 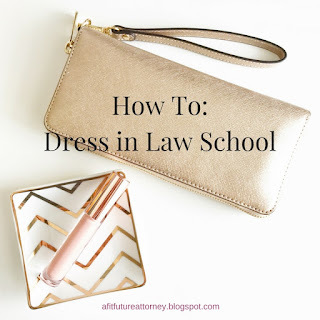 Picking a law school is a huge decision and there is a lot of pressure to make the right one. Everyone has different factors that they consider and apply different weights to each factor. Some people value location the most, while for others, cost is the deciding factors. Do whatever is right for you. For me, it came down to the place that I felt most comfortable at, and that would provide me the best education and opportunities at the smartest cost. 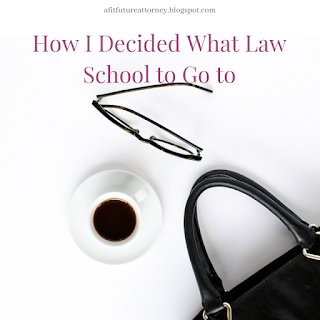 How did you decide what law school to go to? Leave a comment below!